At Myrtle Beach Chrysler Jeep, we offer competitive financing rates and terms on our great selection of new and used trucks, cars, and SUVs. 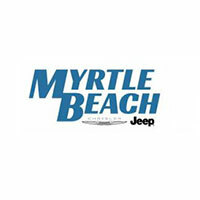 Myrtle Beach Chrysler Jeep makes it easy to get a personalized car loan or lease in the Conway, Garden City, and Murrells Inlet area. Our Myrtle Beach auto finance professionals are prepared to work their hardest to get you the low rates that work for your budget within a convenient pay-off period. We will work with you to find the best financial solution for your unique needs. That way, you can feel secure knowing you’ve got a great car loan when you hit the Myrtle Beach streets in your new or new-to-you vehicle! Please contact us today to speak with our expert finance team at Myrtle Beach Chrysler Jeep and learn more about what we can do for you. We’ll get you the auto loan or extended warranty you need to get into a new or used Jeep or Chrysler that suits you and your individual lifestyle. We pride ourselves on the exceptional service we give each and every customer, and we’re sure we can get you the right deal on a new Chrysler, Jeep, or used vehicle. Our finance experts are here to guide you through the financing process and help you get into your new vehicle. Contact Myrtle Beach Chrysler Jeep’s finance team today or if you’re ready to start the financing process, you can fill out our secure finance application online.